Until recently, protein-protein interactions (PPIs) have been considered essentially “undruggable,” in part because of the presumed featurelessness of the interface between protein partners. But PPIs play a huge role in cellular processes and understanding them could reveal new ways to attack cancer, neurodegenerative diseases, and infections. Over the last decade or so, new tools, libraries, and assays have emerged that make it more attractive to join the hunt for small-molecule therapeutics that target PPIs. “For a long time, it’s been thought they’re these big, bland interfaces,” says Andrew Voter, a PhD student in biochemistry at the University of Wisconsin–Madison. “Imagine a baseball in a catcher’s mitt and you have to block the whole baseball. That was the thinking.” Recently, however, scientists are starting to appreciate that there’s a wide variety of complexity among the interfaces. Arkin points out that PPIs run the gamut from simple, short peptide epitopes, to secondary structures, like alpha-helixes, that bind to a simple complementary groove, to intricate folding arrangements in both partners that are much harder to inhibit. Even in the smooth expanse of the “catcher’s mitt,” Arkin has shown that often, most of the binding energy localizes to “hot spots,” or clusters of key residues about the same size as a small molecule. These hot spots, she says, could dynamically adjust to bind to a small molecule, and screening for inhibitors could be fairly straightforward. Another obstacle to discovering new PPI inhibitors is the lack of libraries designed to hunt for them, points out Philippe Roche, PhD, senior scientist at the Integrative Structural and Chemical Biology team at the Cancer Research Center of Marseilles, France. “If you screen PPIs using libraries that were designed for kinases or GPCRs, that’s why you don’t get a lot of good results,” he says. To that end, his group began assembling a library focused on orthosteric inhibitors of PPIs. The result was 2P2Idb, a hand-curated, structural database cataloguing orthosteric inhibitors of PPIs for which the interface had been 3D characterized. From analyzing these known PPI inhibitors, and what structures they had in common, Roche and his colleagues developed a model to predict whether compounds would likely inhibit PPIs. Using this method, 2P2Idb creates an enriched screening library that dramatically increases the hit rate compared to standard libraries. Last year, scientists at Emory University unveiled the OncoPPI network, a large-scale map of PPIs relevant to cancer. By understanding the complex cross-talk of various oncogenic pathways, the researchers hoped to reveal strategies for taking down key proteins previously impervious to drug targeting. OncoPPI uncovered hundreds of previously unknown interactions stemming from important “protein interaction hubs,” including a connection between MYC, a famously intractable oncogene, and nuclear receptor binding SET domain protein 3 (NSD3), an epigenetic modulator. To search for compounds that disrupt this interaction, Yuhong Du, PhD, associate director of assay development and HTS at Winship Cancer Institute of Emory University, and her colleagues developed an ultrahigh-throughput screening assay using time-resolved fluorescence resonance energy transfer (TR-FRET). The TR-FRET assay uses energy transfer measurements to detect whether two proteins are interacting. One protein is labeled with a donor fluorophore, the other with an acceptor, and when the two proteins get close enough, the donor emits a photon that’s absorbed by the acceptor. The acceptor then emits its own photon at a specific wavelength. If that glow is interrupted, that means the PPI has been inhibited. Du’s team devised a labeling configuration that generated robust signals, allowing for miniaturization to 5 µL per sample in 1536 well plates. “If we miniaturize to a 5 µL assay, we can decrease the cost by more than half, so that makes screening a hundred thousand compounds feasible,” Du says. Further simplifying the process, the assay uses cell lysate rather than purified protein, a move that both saves labor and better preserves the native cellular conformation of the PPI. 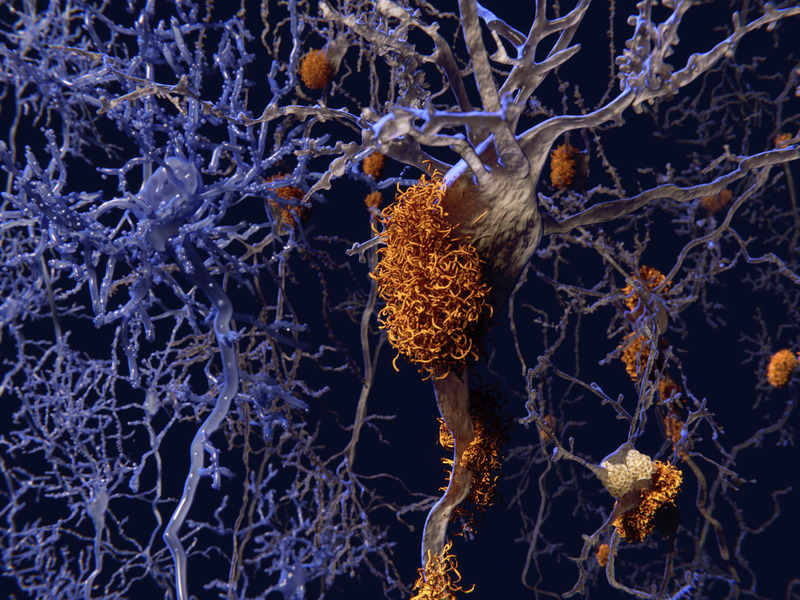 Similar strategies are afoot in the realm of neurodegenerative disease. A team of researchers led by Hidenori Ichijo, PhD, in the laboratory of cell signaling at the University of Tokyo, used TR-FRET to find small molecules that inhibit the interaction between two proteins, SOD1 and Derlin-1. Inhibiting this interaction, they found, staves off symptoms of ALS in mice. Mutations in SOD1 account for a significant fraction of ALS cases, apparently due to toxic gain-of-function activity. Ichijo and colleagues first identified a link between ALS and the interaction between mutant SOD1 and Derlin-1 ten years ago. Endoplasmic reticulum (ER) stress contributes to ALS by activating the ASK1-dependent apoptosis pathway, and activation of that pathway is associated with mutant SOD1. In that study, Ichijo’s group showed that by disrupting the interaction between Derlin-1 and mutant SOD1, they could halt ER stress, activation of the ASK1 pathway, and motor neuron degeneration. Now, they’ve developed a TR-FRET screening–based assay to look for small-molecule inhibitors of the SOD1–Derlin-1 interaction. After screening 160,000 small molecules, they identified 44 that diminish the FRET signal. They selected one promising candidate, for which dozens of structural analogs were commercially available. Testing these analogs led them to one that blocks SOD1–Derlin-1 interaction for all 122 SOD1 mutations that they tested. The compound increased motor neuron survival in human cell culture, and delayed the onset of symptoms in a SOD1 mutant mouse model. Much remains to be learned before the new finding translates to human treatment, points out Hande Ozdinler, PhD, associate professor of neurology at Northwestern University. Still, “this is interesting from a drug discovery point of view,” she says. Ozdinler and her colleagues recently published an extensive analysis of the PPIs relevant to ALS, in an effort to understand how such a wide variety of seemingly unrelated mutations all lead to the same disease pathology. “The genes that are mutated in ALS patients are not really linked,” she says. “They must be converging on some biological event.” Reasoning that “all biological events take place because of protein-protein interactions,” Ozdinler went looking for common roles among the binding partners of ALS-related genes. From the myriad interactions, a few key canonical pathways emerged, such as regulation of lipid and protein homeostasis, and DNA damage repair. “We started realizing some of the converging domains, and some proteins that play really important key roles, so that you pull them out of the interactome, the whole interactome domain collapses,” Ozdinler says. These are mutations that aren’t even seen in patients, she remarks, presumably because they are so critical that they are embryonic lethal. But mutations along these canonical pathways will pull the equilibrium in one direction or another, she says, gradually accumulating stresses until the system falls apart. “If cellular events are modulated by these interactions, and if you can block them or enhance the interaction, you may also expedite or block that cellular event,” Ozdinler says. Understanding the complex interactome network, therefore, could light the way to new drug targets that could restore properly functioning interactions. Antibiotics revolutionized medicine when they became widely available in the 1940s, but during the intervening decades, pathogenic bacteria have evolved resistance time and again. Yet even considering the great need, the development of new antibiotics has slowed to a crawl in recent years. To fill this void, some researchers are looking to PPI inhibitors. “There’s only so many essential enzymes in bacteria,” says Voter. “We’ve sort of run out of other things to target.” And unlike enzymes, PPIs potentially offer greater specificity. “If you’re targeting enzymatic activity, likely your human cell and your bacterial cell are going to be acting on the same substrate,” he points out. With PPIs, there’s more opportunity to target something that’s going to be pathogen-specific, causing fewer side effects. One way PPIs offer an end run around drug resistance is by providing targets that inhibit virulence without killing the bacteria. For instance, bacteria that cause urinary tract infections rely on various types of hairlike pili to anchor themselves against the flow of urine that could otherwise flush them out of the body. Pilicides can target the interaction between the pili and the bladder epithelial cells, preventing infection without harming any non-pathogenic bacteria in their path. Antivirals targeting PPIs are also on the rise. Viruses pack light, and need to hijack scads of host proteins to do their work. Two key steps in the viral life cycle involve PPIs: getting into the cell, and integrating the viral genome into the host’s. The anti-HIV drug maraviroc, approved in 2007, targets the interaction between the viral gp120 and the cell surface receptor CCR5, preventing the virus from entering the cell. More recently, inhibitors have been discovered that block the interaction between HIV integrase with the host factor LEDGF/p75. Zeger Debyser, MD, PhD, at KU Leuven in Flanders, Belgium, and colleagues have reported on these inhibitors, which they call LEDGINs. LEDGF/p75 tethers the virus to the chromatin where it can be incorporated into an area of active transcription. LEDGINs inhibit allosterically, reducing the catalytic activity of the integrase and preventing integration. All pathogens, of course, depend on host protein interactions to get in and do their dirty work. As more sophisticated tools become available, more of these interactions will prove invaluable for halting the spread of infection.